Meralgia paresthetica is chronic pain, numbness, and tingling in the outer part of your upper thigh. Although it seems like a random type of pain to experience, it is actually a result of a pinched nerve in the pelvic region. As the lateral femoral cutaneous nerve passes through the groin to supply feeling to the outer part of the thigh. It can become pinched by tight pants or belts, excess fatty tissue, or for unknown reasons. This nerve only provides a sensory sensation and not muscle function so paralysis from the pinching of this nerve will not occur. Those who suffer from obesity are also at risk for this type of pain. The downward pressure of the added weight can compress the ligament which leads to compression of the nerve. Similarly, pregnancy with its added weight can result in meralgia paresthetica, but it usually resolves once the pregnancy is complete. 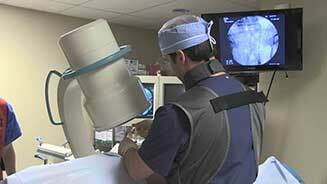 In addition, scar tissue near the area from previous surgery can compress the nerve. Finally, excessive walking, bike riding, and standing for extended periods can impact the delicate highway of nerves and ligaments inside the pelvis. When these activities are discontinued, the pain sometimes stops, though it may stay if the nerve is particularly damaged. The type of pain is generally nerve related leg pain. Numbness and tingling in the outer part of the thigh are the most common signs that this nerve is impinged upon. However, the leg pain can be bad enough to cause a burning, shooting, or electric shock type pain in the outer thigh. Most people don’t experience problems moving their leg or using their muscles as different nerves control these functions. Some patients may experience groin pain or buttocks pain, but these are less likely symptoms and probably indicative of another problem, such as a groin pull or other soft tissue injury of the pelvis. Treatment for this type of nerve problem usually starts with removing the causative agent. For instance, wearing pants that are loose around the pelvic area or losing weight are two possibly solutions for the problem. When these measures fail or are not possible, medications can be used to control the pain. Over the counter drugs are usually enough for mild meralgia paresthetica, but often the pain of nerve impingement isn’t so easily controlled with non-prescription medications. 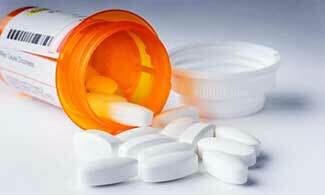 Medications for nerve pain include certain anti-seizure drugs and antidepressants. Topical local anesthetic patches can be helpful if there is a lot of burning pain and the skin is painful to touch. When the pain isn’t responding to conservative treatment, when the medications are causing side effects, or if the diagnosis is in question, a lateral femoral cutaneous nerve block with local anesthetic and steroid can help to eliminate the pain. 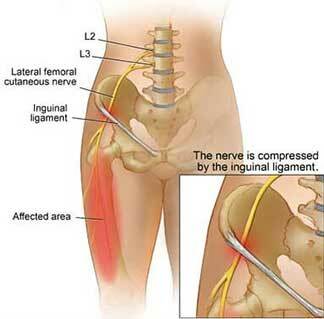 If the pain is eliminated after the injection, it proves that the nerve is causing the pain and the diagnosis is made of lateral femoral cutaneous neuralgia. 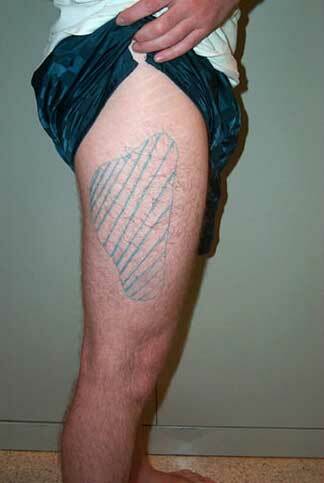 This injection is usually done under ultrasound guidance. If the steroid injection provides only temporary pain relief, treatment with ice (cryotherapy) or heat (Radiofrequency lesioning) directly to the nerve can provide longer term relief. In extreme cases, surgery to remove the source of impingement, such as ligament releases or scar tissue removal, can free the nerve to perform normally again.